Hello there! It’s Ginger from GingerSnapCrafts.com. Back to school is just around the corner. Are you ready? I’m not totally ready YET, but I know that with my Cricut Explore Air and a few supplies, it will be easy to whip up some amazing back to school gear for my kiddos. Let me show you some of my favorite projects that can be completed in one afternoon with your Cricut. Don’t forget to pin your favorites! 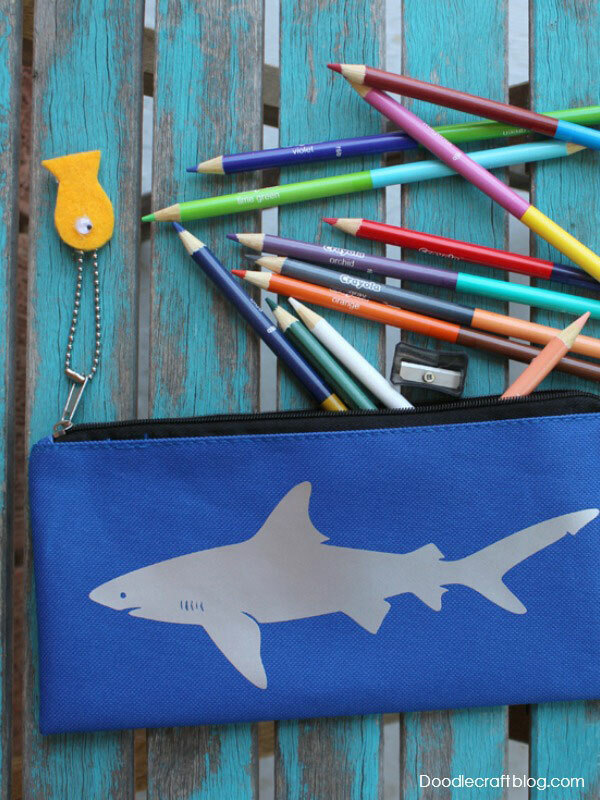 Sharks are so popular right now, and this DIY Shark Pencil Case is sure to make a splash in your child’s backpack. The first day of school is a big milestone. Tons of picture taking is a must! 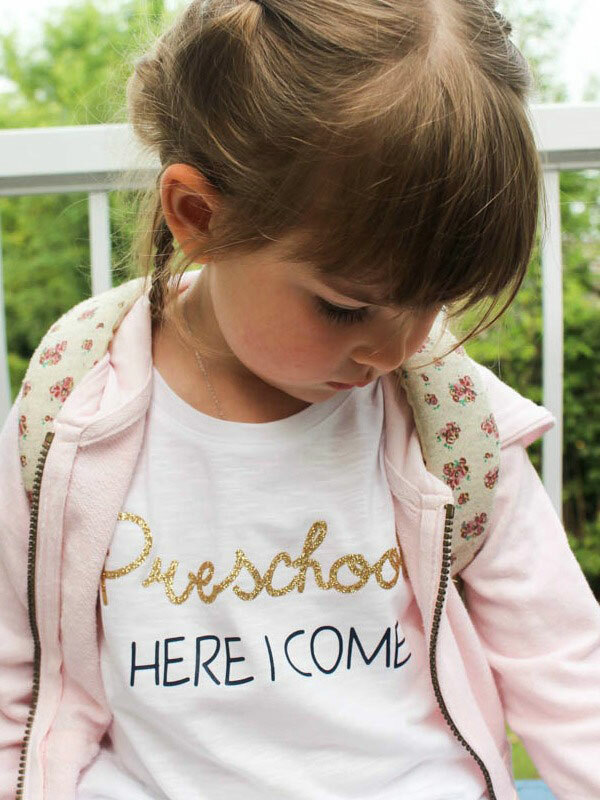 This cute first day of school t-shirt can be customized to your child’s grade level. It also makes a cute keepsake to keep as well. 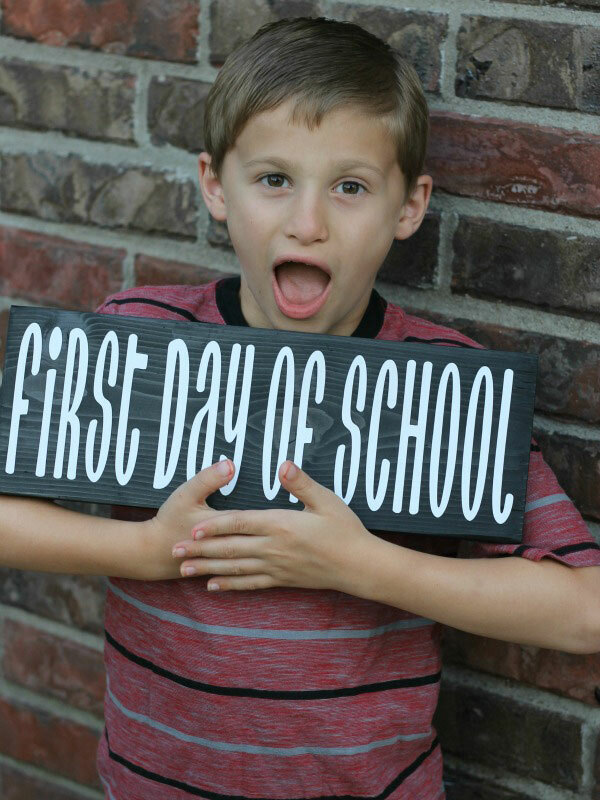 Speaking of photos, a photo prop can help get those smiles coming more quickly! I love that this one can be used over and over again each year. All you’ll need to make this is a wood board, black paint & white vinyl along with your Cricut Explore Air & your favorite font. I know my kiddos love to see their names on just about everything. 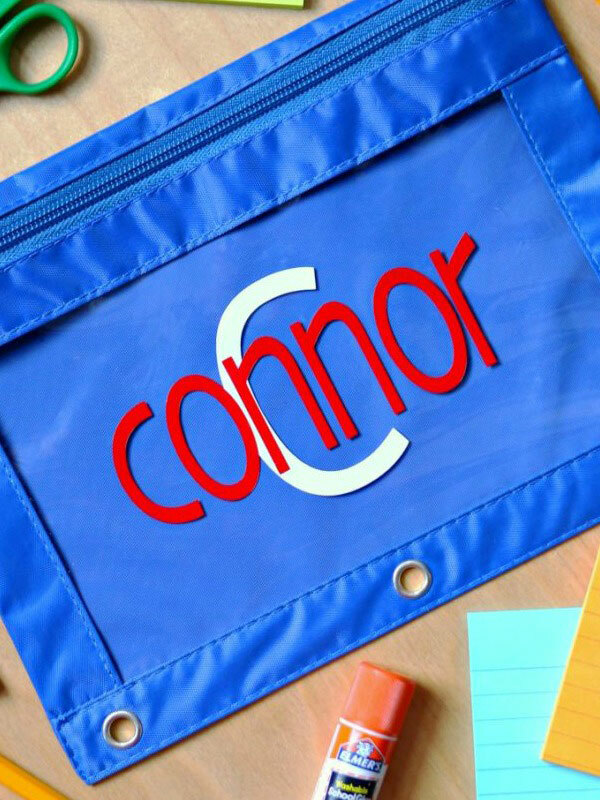 Isn’t this personalized pencil pouch fun? Let your child pick out the colors and fonts to make it as unique as they are. No sense in having the same backpack as everyone else. Am I right? 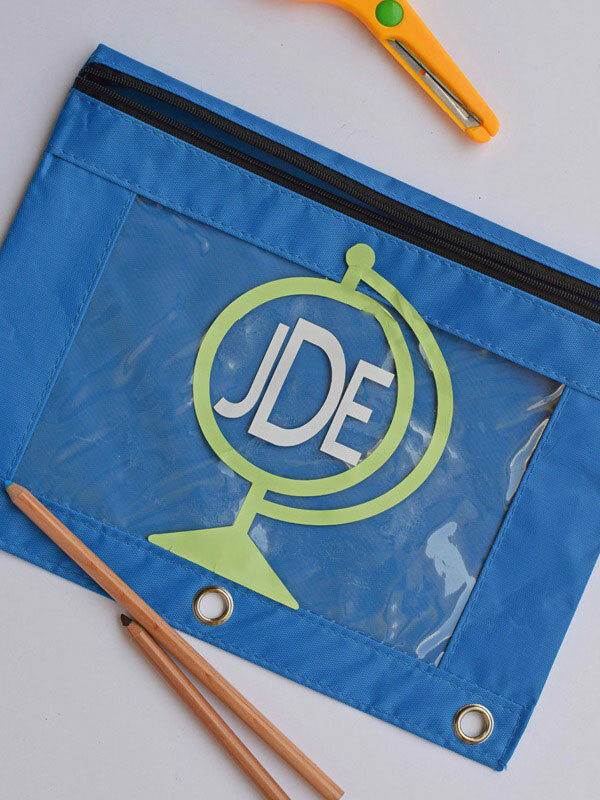 Make your child their own customized backpack using your Cricut Explore Air. Don’t forget to pin or share some of your favorite projects using the hashtag #CricutMade. I don’t know about your kiddos, but my kiddos definitely have their own unique style and fashion sense. 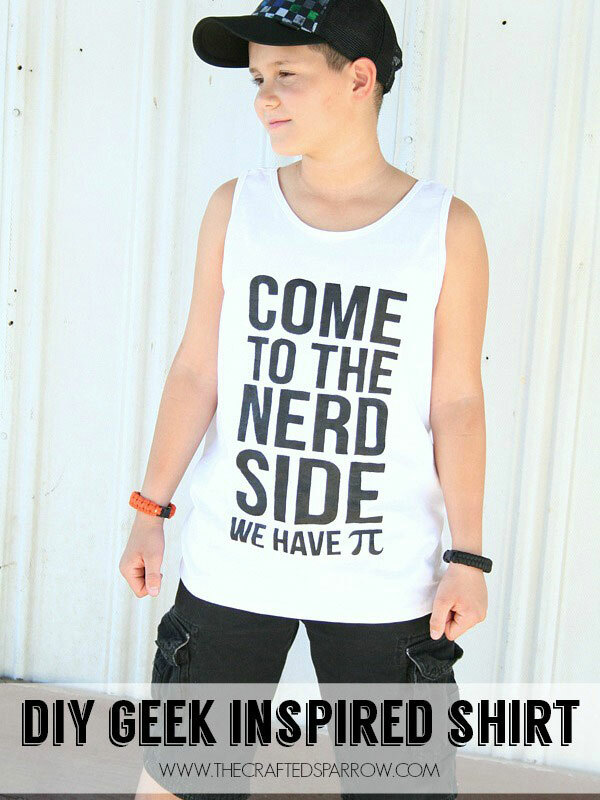 Help them design their own clothing using Cricut Iron-On vinyl and your Cricut Explore Air. Back to school means more reading for my kiddos. Yay! 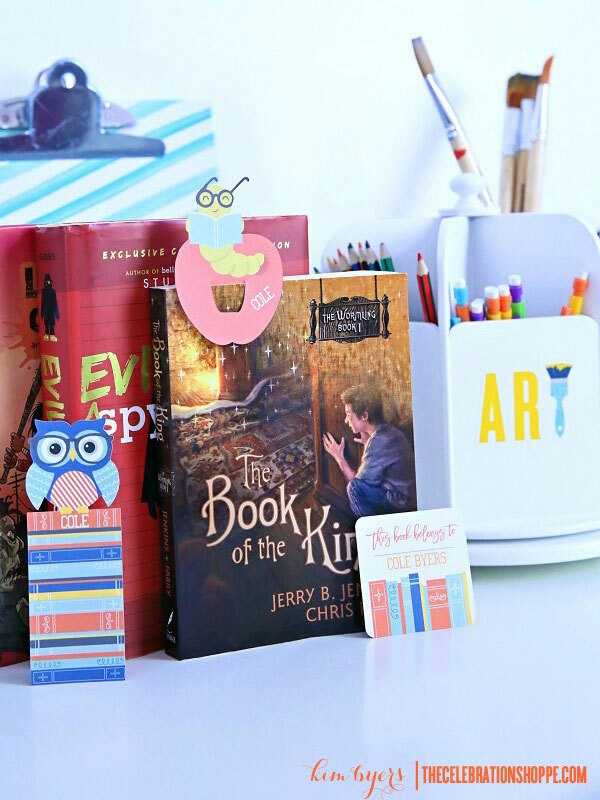 With your Cricut, it’s easy to customize and make your own bookmarks for back to school. Isn’t this school messenger bag cute? Again, Cricut Iron-On vinyl comes in so handy to personalize and make all your back to school gear uniquely your own. Have you seen the Glitter Iron-On vinyl? It’s cute and would work well with a project like this! Teachers love back to school gear as well. 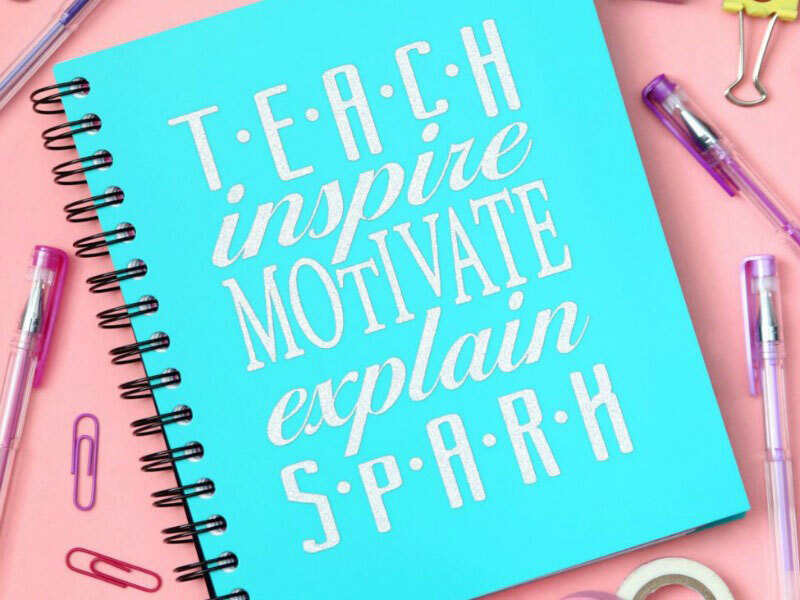 Isn’t this teacher notebook made with Cricut so pretty? I want to make one for my child’s teacher this year. One more pencil case for the win. You can never have too many of these! I love the cute globe on this one, and you can never go wrong using a monogram in your designs. Do you want to try a fun Back to School project with Cricut? 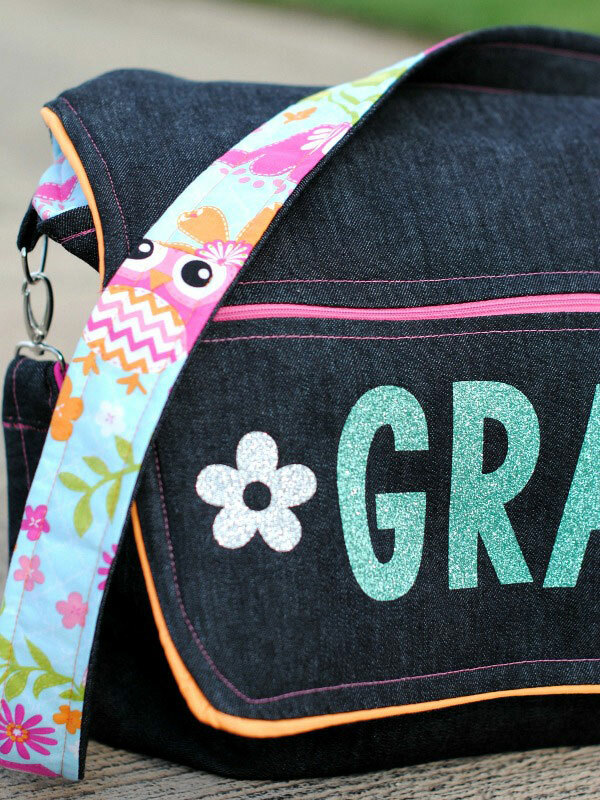 Check out this cute Reading is FUNdamental Tote Bag in Cricut Design space that you can create in just a few easy steps. You can also find tons of ideas over on Pinterest as well. 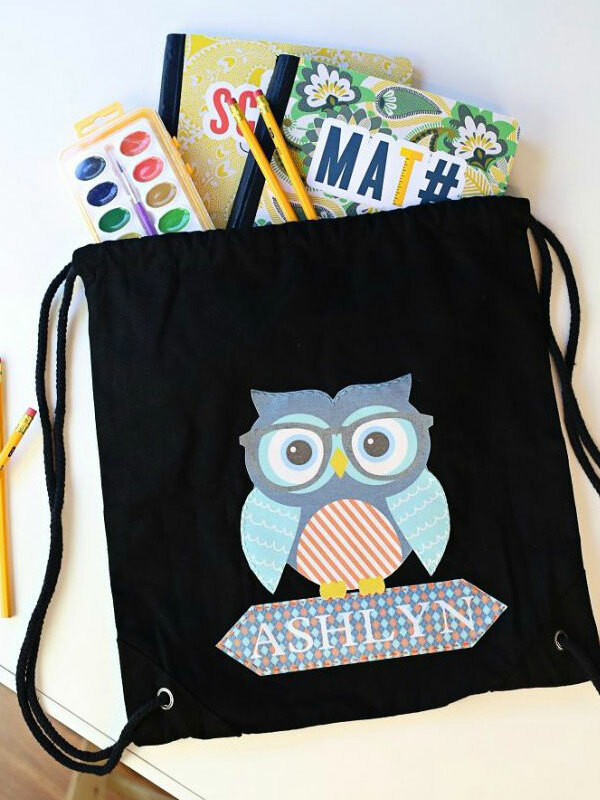 Don’t forget to share your fun back to school projects made with Cricut using the hashtag #CricutMade. Happy back to school crafting!